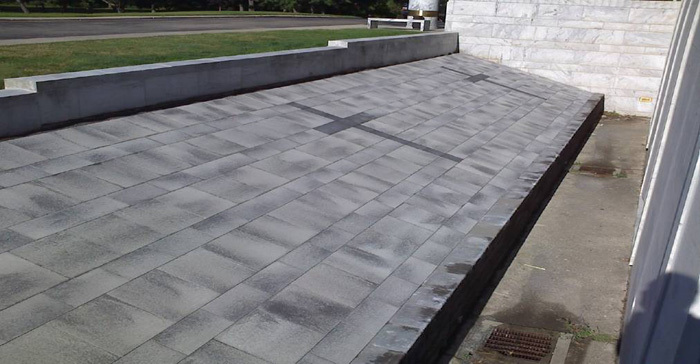 The Umbriano Paver project at Holy Sepulcher Cemetery is just one of the special project designs we have created for our clients. This project consisted of designing a esthetically pleasing covering on an area way that would be seen from inside the building. Before the project, this area was a catch all for weeds and debris that created a maintenance nuisance. Now, the beautifully placed design of pavers is not only pleasing from the inside looking out but has a gorgeous reflection in the windows that can be enjoyed by all passing by outside as well.